Warren Buffett was a vocal backer of Hillary Clinton. She's not going to be the next president. So what does the Berkshire Hathaway CEO think of President-elect Donald Trump? "I support any president of the United States. 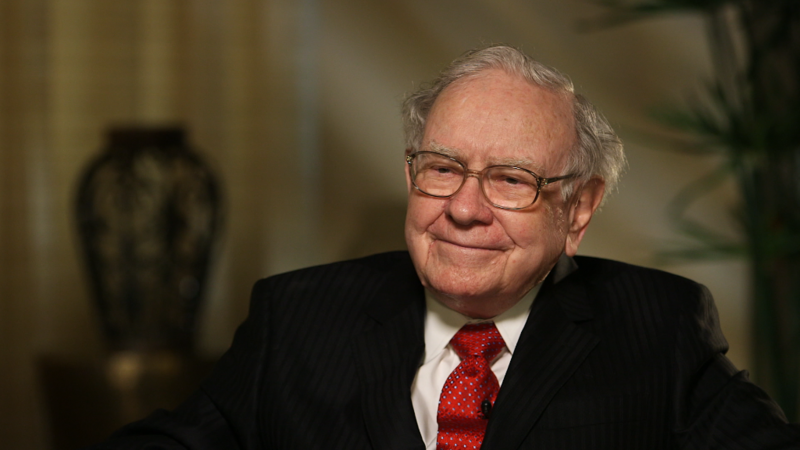 It's very important that the American people coalesce behind the president," Buffett told CNN's Poppy Harlow in an exclusive interview from Omaha on Thursday. "That doesn't mean they can't criticize him or they can't disagree with what he's doing maybe. But we need a country unified," Buffett added. "He deserves everybody's respect." That's a turnaround from what Buffett told Berkshire Hathaway (BRKB) shareholders before its annual meeting in Omaha in April. When an investor asked him if he'd be worried about how his businesses would perform under a President Trump, Buffett quipped "that won't be the main problem," a remark that issued laughter from the crowd. But Buffett took a more conciliatory tone Thursday -- even as he defended why he still thinks Clinton was the better candidate. "You have to choose between two people and I chose Hillary," saying that her temperament was the number one reason why he endorsed and voted for her. He added that he has not spoken with her since the election. Buffett said he understands why Trump won. Many Americans are resentful about the wealth gap in the country. Can Trump fix that? Buffett said he was skeptical of some of Trump's claims about how fast he can grow the economy. "Nobody can grow the economy 4% in real terms over time," Buffett said, referring to a Trump campaign promise. "The math is too extraordinary." But Buffett thinks that even 2% annual growth over a period of a few years will lead to wage growth and gains in the stock market. Speaking of stocks, Buffett said he was not surprised to see the market rally after Trump won. He thought concerns the market would tank due to Trump were "silly." What's more, this week's rally has helped make Buffett even wealthier. Berkshire stock has popped. The company owns and operates the big insurer Geico and railroad Burlington Northern Santa Fe. Berkshire also invests heavily in large financial firms and industrial giants. Those sectors have been big winners since the election. Investors have been betting that Trump will seek to cut back on regulation of banks and other industries and also spend more to repair highways, bridges and other parts of the nation's infrastructure. Buffett said he was buying stocks a few weeks ago when he thought Clinton would win -- and that he continued to do so this week after she lost. He said stocks will be higher 10, 20 and 30 years from now and that would have been the case if Clinton won. And he continued, as he has done for years, to stress that America is a "fantastic country." At the end of the day, Buffett said he's not worried about Trump trying to enact some of the more controversial things that he talked about in his campaign, such as cracking down on immigration and enacting isolationist trade policies. "There are a lot of things said in campaigns that don't happen after the election," he said. Asked about Trump's proposal to impose 35% tariffs on goods imported to the U.S. -- Buffett said: "It's a bad idea, a very bad idea, but I'm not going to say it is going to cause a recession." He also didn't seem worried about Trump's mixed track record as a businessman. Buffett even joked that President Harry Truman ran a failed haberdashery store and that "he turned out to be a terrific president." 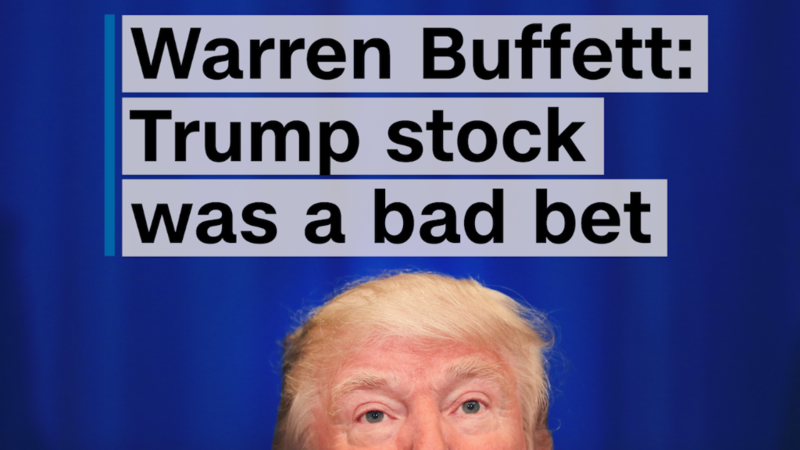 Buffett said he thought Trump was very good at licensing and promoting his name. But he continued to argue that Trump didn't have a great track record of operating casinos and other Trump-branded businesses successfully. "I don't have to worry about him running a business anymore," he said. But if President-elect Trump called Buffett asking for advice on the economy, would Buffett offer a hand? "I would do that with any president. I've never called a president in my life. So I don't initiate 'em. But ... but if any president asks me for help in any way, I mean, that's part of being a citizen," Buffett said.